Millions of Americans spend up to $500 – $1,000 per month on their health insurance, putting the United States at the top of the list of high-income countries’ medical expenses. However, researchers have not found that Americans use their medical system more often. Then why does all this money not translate into healthier people? 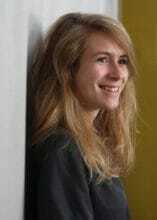 Research points to the high prices of drugs, procedures and administrative services. 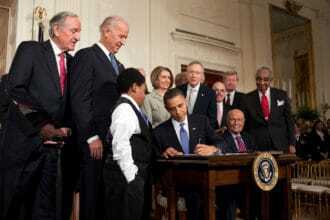 In 2010, President Obama signed the Affordable Care Act (ACA) into law. Ever since, Republicans have attacked the law, often referred to as Obamacare, and have carried out multiple attempts to reform or repeal it. The last four elections were dominated by discussion on the law and President Trump made repealing ACA a cornerstone of his campaign. The Republican party has succeeded in dismantling many parts of the law, but they have not successfully been able to unite around new legislation. Republicans have abstained from another attempt to repeal the ACA this year. Moreover, many Republicans up for re-election are talking back their reform-or-repeal votes. Why? The issue of health care has steered away from the ACA and has instead focused on pre-existing conditions. Many Republicans voted to repeal the law. This meant taking away health care from people whose health conditions predate someone’s insurance coverage and stripping the provision that allows a child to stay on its parents’ insurance until age 25. As these two features of the bill remain very popular since its introduction, the Democrats have put them front and center of their campaign this year. 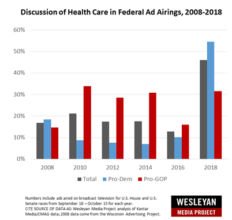 This year, Democratic groups spent nearly half of their money on health care ads: 44 percent of Democratic House races and 50 percent of their Senate campaigns discussed the issue. The divide with Republican races is stark, as the issue does not even make it into the top five issues for Republican Senate campaigns. Democratic candidates have blanketed the airwaves with their personal health stories: Senator Claire McCaskill from Missouri talks about her fight with breast cancer, while Senator Tammy Baldwin from Wisconsin describes finding her mother, who had a drug abuse problem, passed out. The opioid crisis is an issue that has received a lot of the attention of candidates talking about health care. So while people on the news and in Washington D.C. are mostly talking about Kavanaugh or Khashoggi, my busdriver from Tennessee and voters across the country will be thinking about their health care when they cast their vote on Election Day.